What is Generator Remote Monitoring? Generator Remote Monitoring is simply this…electronically monitoring your emergency power system around the clock. Improved Reliability - The definition of reliability in our business is simply this…The power goes out and the emergency power system works. Monitoring the system 24/7 tracks the current status of the emergency power system, monitors the exercise cycles and provides instant alerts to problems. Confidence and Peace of Mind - Know with confidence the system is ready for the next power outage and will work when needed. Fast, Proactive Service Response - By receiving alarm notifications via email and/or text, our system will alert you and our dispatch team to any generator fault conditions allowing us to respond more quickly to your needs and to minimize down time. Alerts are sent to as many people as you like. Reporting - Monitored events are time & date stamped and can provide daily, weekly and/or monthly automated activity reports, sent directly to you via email. 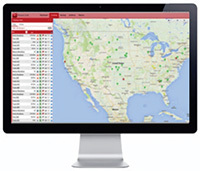 User Portal - You receive your very own user log in to monitor and track your equipment at any time. We will take care of all of the monitoring and reporting for you, but you will also have complete access to monitor and track your equipment and data. Decreased Cost of Ownership - Monitoring a generator actually helps decrease the overall cost of ownership. This may seem contradictory. However, small problems can be fixed before they become big problems, thereby reducing major repair costs. The most significant cost is if the generator does not work during a power outage! MONITORING YOUR EMERGENCY POWER SYSTEM IS AN EASY DECISION WITH OUR AFFORDABLE PRICING. Generator remote monitoring includes two basic components, the monitoring system connected to your equipment and the user interface software platform. Your emergency power system is one of the most critical systems that you have and you rely on this system to provide a very important and essential service. The advancements in available technology now allow us to provide very cost effective monitoring solutions that were formerly too expensive to consider for most applications. 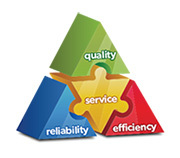 Our goal is to always provide you with the highest level of service possible and to do everything that we can to improve the reliability of your emergency power system.